I have credited Eoin before for his unique vocal and credible production value, on his previous single ‘Tear Out This Heartache’. 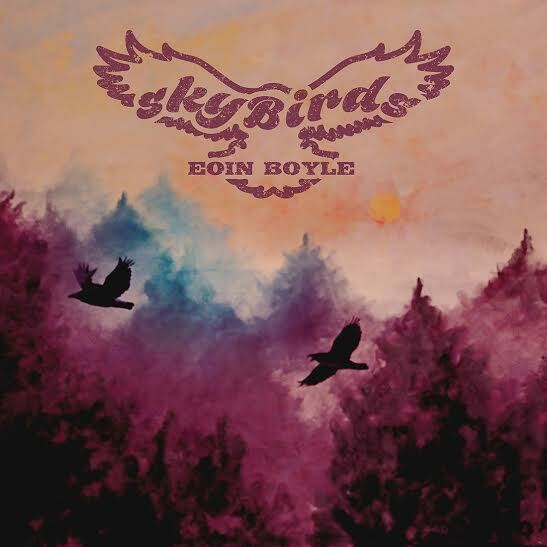 For this new release ‘Skybirds’, the style is still there and the sound is fresher and revitalised. The musical arrangement throughout the song evolves as the message is unfolding. The choral introduction and the stripped back, acoustic-folk elements work very well here, with Eoin’s vocal and delivery. Right on cue with his electro-pop injection and backing vocals, the hook of the song is clear and it gathers momentum taking the song to where it needs to be. It’s an uplifting piece and it ascends his own original style based on a successful marriage with the lyrics. I love the flow and the stance of his lyrics, good poetry in this lesson. It’s about human nature and how our decisions denote our actions and movements and how we create our own destinies. Temptation is always there for some but is best avoided and we have to try and rise above it. We discover more about ourselves by looking up and not down. Eoin is a unique and worthy singer-songwriter and you can add his valid production techniques to that too.